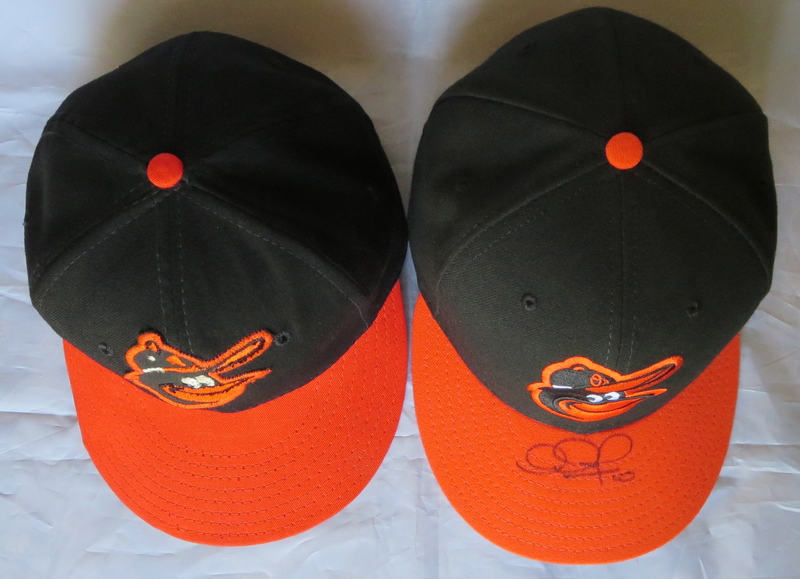 After years of diligent searching, I finally got my hands on an Orioles AJD cap! Ok, so it’s a little dingy, and the logo’s outline is slightly faded, but I just had to get one of these in my hands for once! 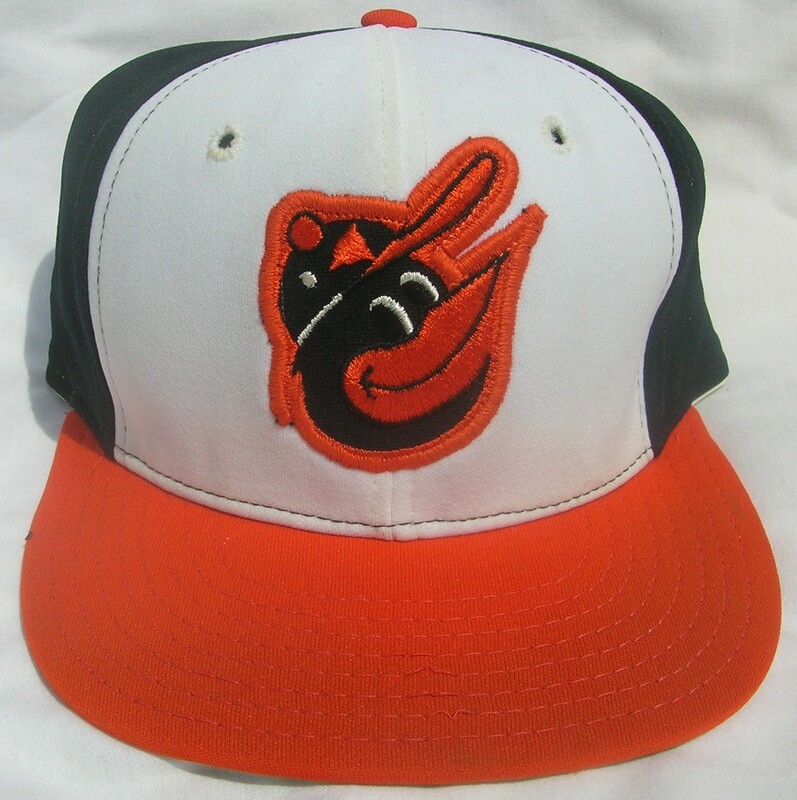 This was the Orioles first white panel cap, which made it’s debut in 1975. 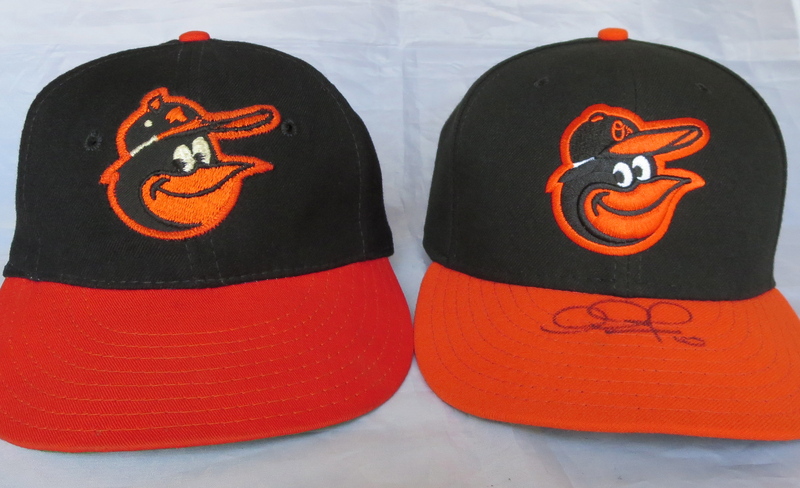 These caps were never sold at retail, so the only way someone would be able to obtain one back then was from the Orioles themselves. 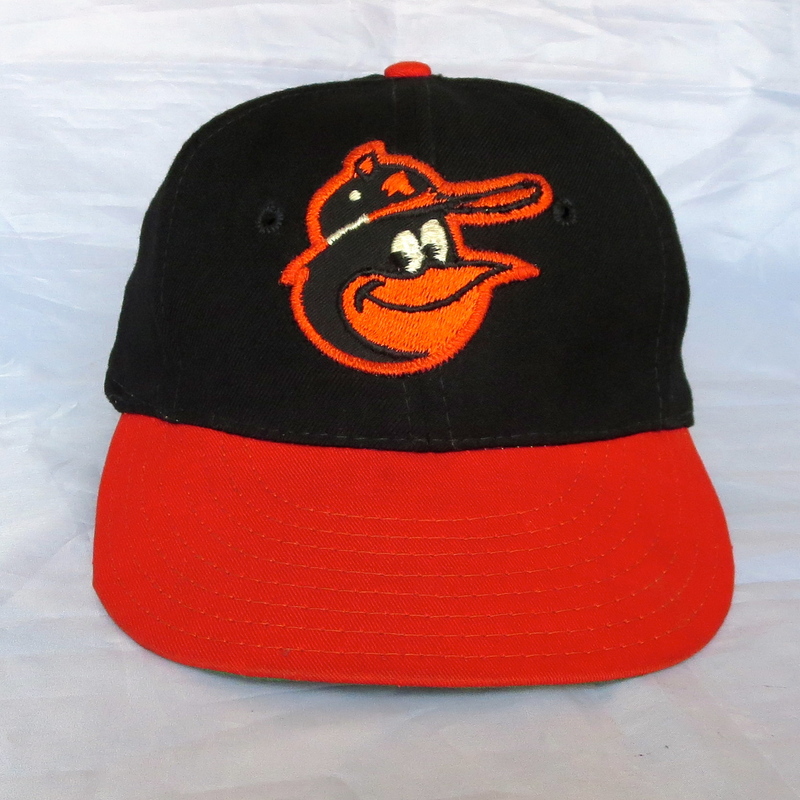 Muser played for the Orioles from 1975-1977, which are the exact years AJD supplied this cap to the Orioles. 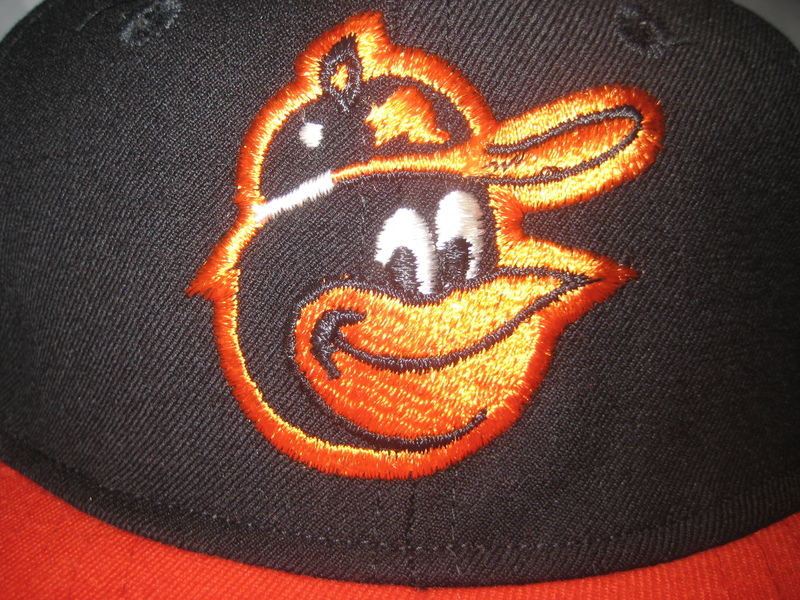 McGregor joined the Orioles in 1976, but didn’t start wearing #16 until the 1978 season after Muser had left. 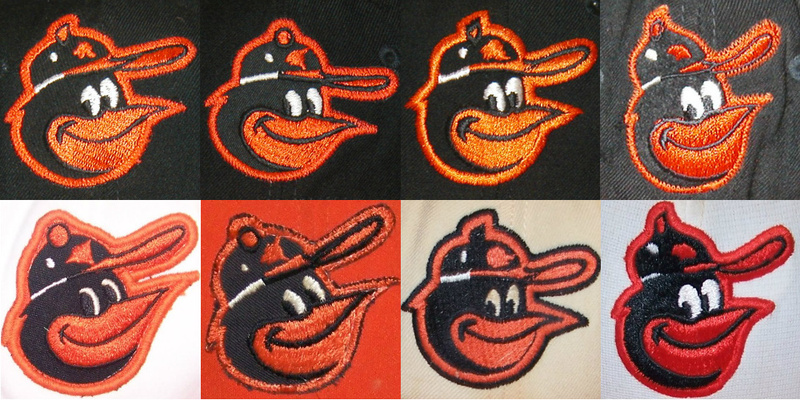 By 1978, most of the Orioles had ditched AJD and switched over to Roman Pro’s version of the white panel Cartoon Bird cap. However, there’s a possibility some leftover AJD’s could have made it up to 1978 Spring Training at least. 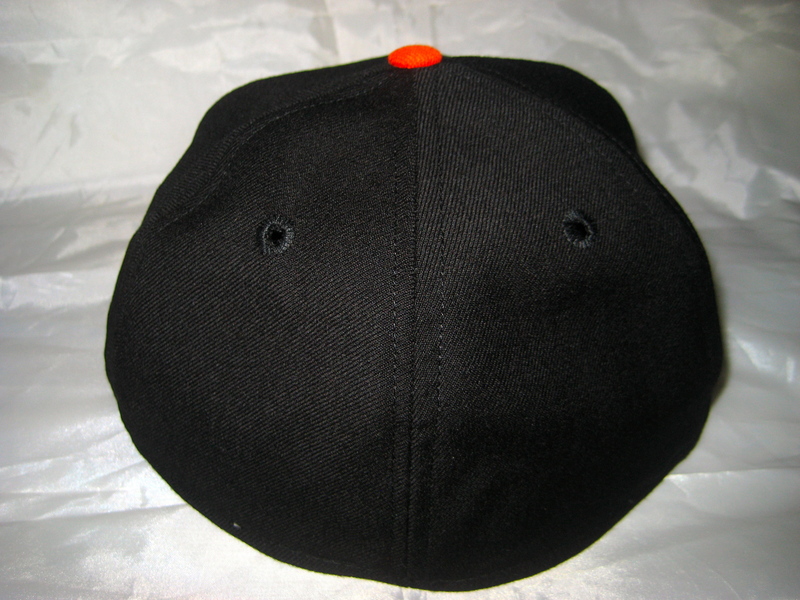 If I were forced to bet I’d say this was Muser’s cap, but who knows? I’ll have to do some more research and find out what size caps those guys wore. 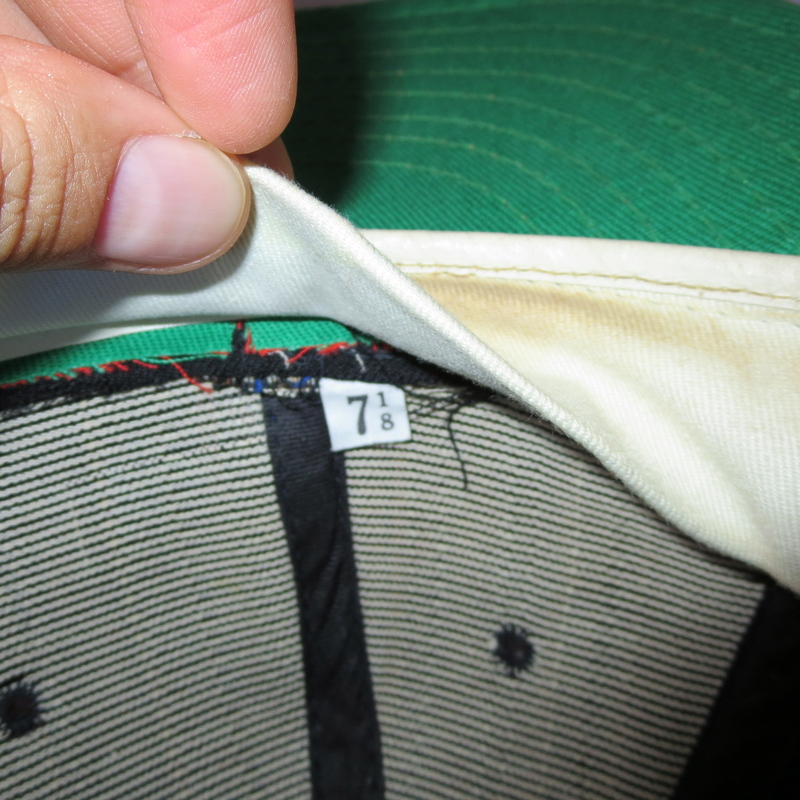 According to the authoritative mlbcollectors.com, this logo was designed by Roman Art & Embroidery and manufactured by American Needle. Big, bold, and proud. 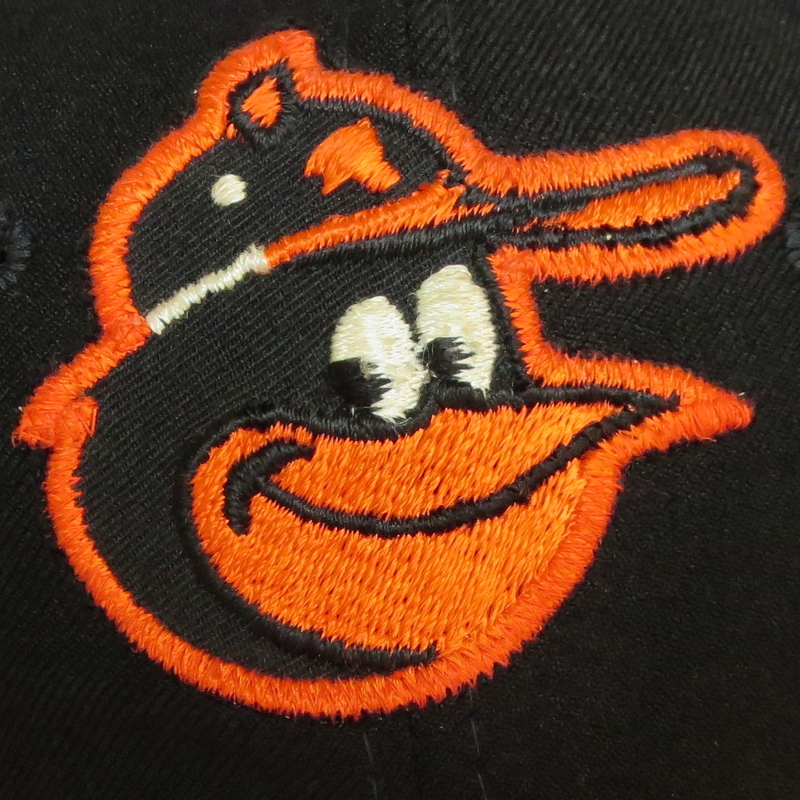 This logo totally embodies the mid ‘7o’s! 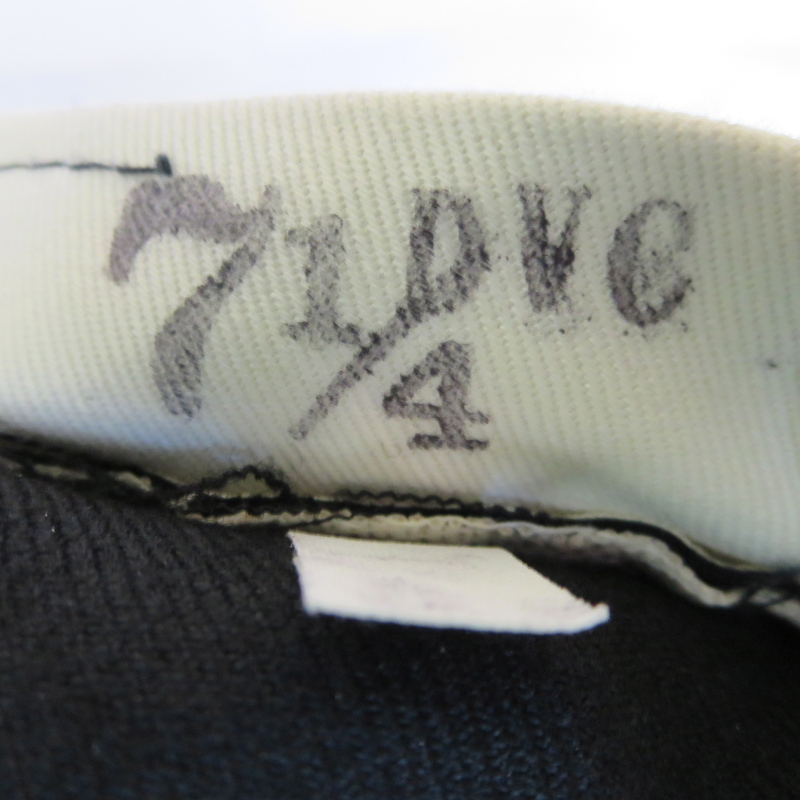 I like to think of this as an enhanced version of the previous ’74 logo. That thick, orange outline serves two purposes. 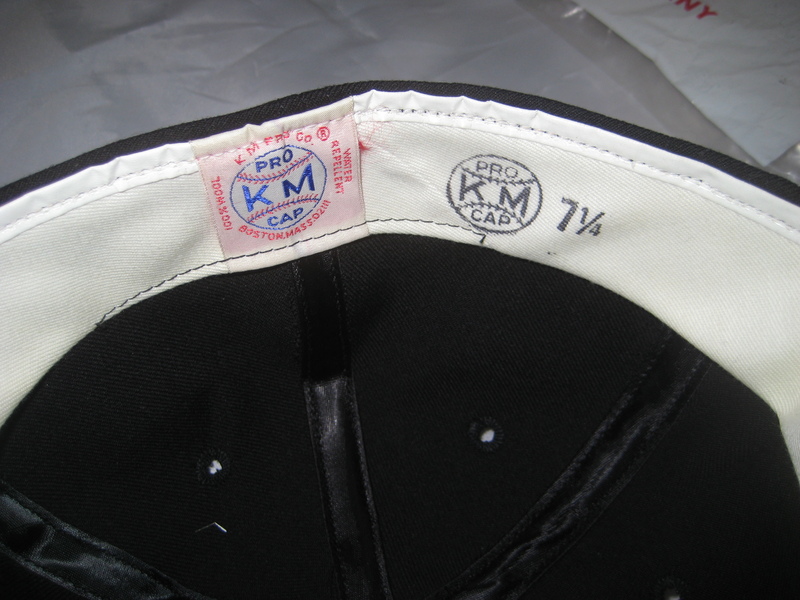 One, it secures the patch to the cap, and two, it covers up the rough edges of the black material that the logo is embroidered upon. Notice in the previous logo that the rough edges show, creating a thin, black outline. 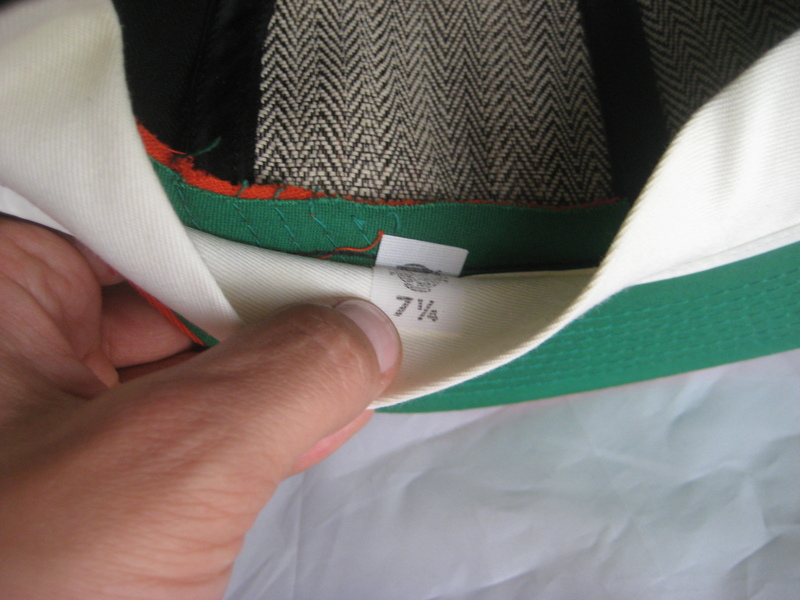 Double knit Nylon… Only in the ’70’s, baby! Unfortunately this particular cap fits way too tight on me. 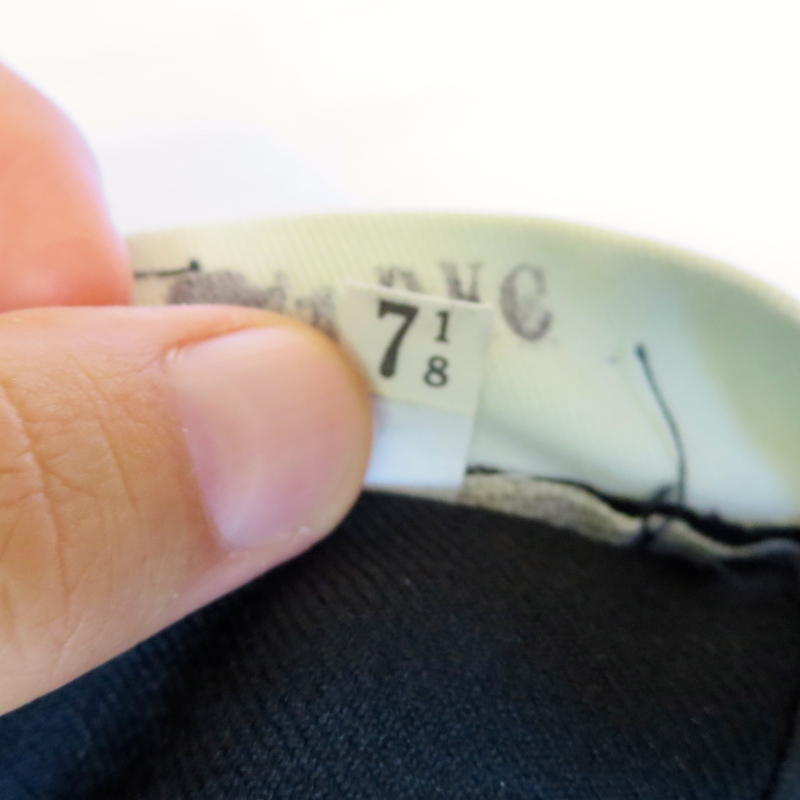 My hat size is 7 1/4, so this one has to be at the most a 7 1/8, possibly even as small as a 7. AJD Cap Corporation was located just a little over 2 hours down the road from Baltimore, Maryland, in Richmond, Virginia. The company was started by Irving Joel in 1960. 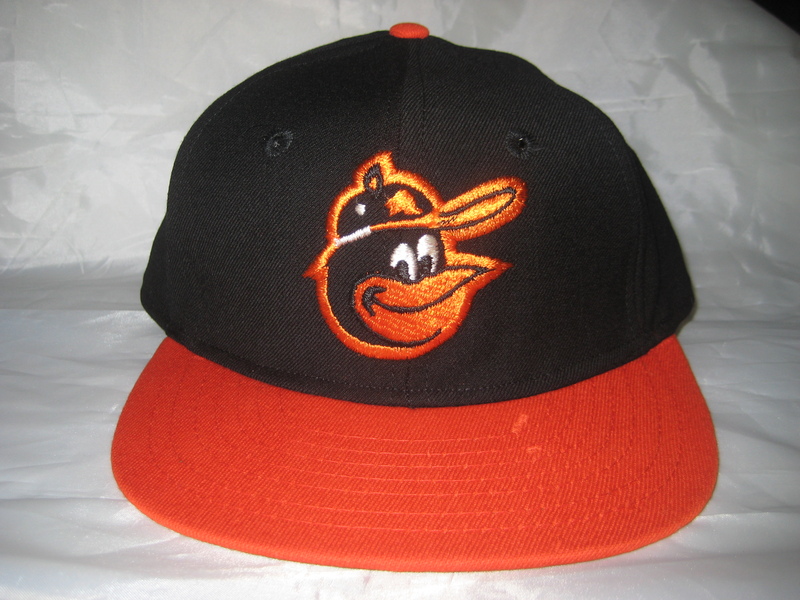 The Orioles would be the only team they manufactured on-field Major League caps for. 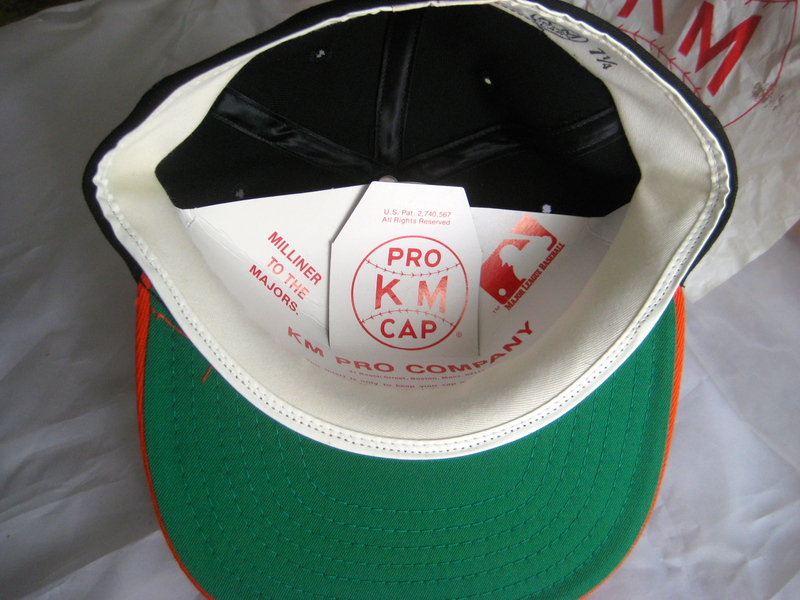 AJD supplied caps for the Orioles from 1975-1976, but as stated previously, they can be seen on players at least up to 1977. 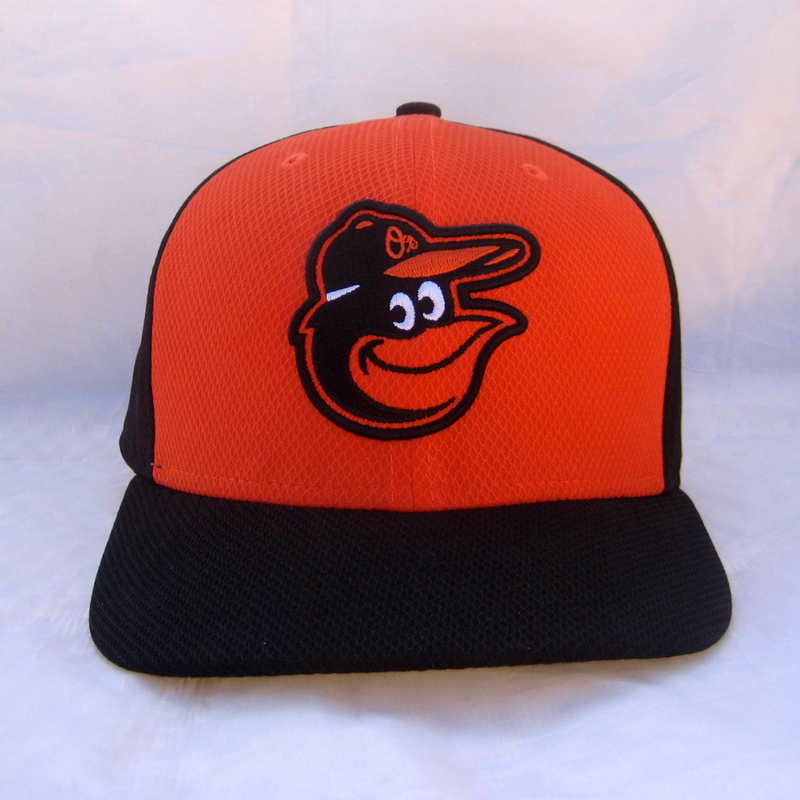 The Orioles AJD cap has become somewhat of a holy grail for me. It’s great to finally own one and see it up close, but hopefully I’ll come across one that actually fits me someday! 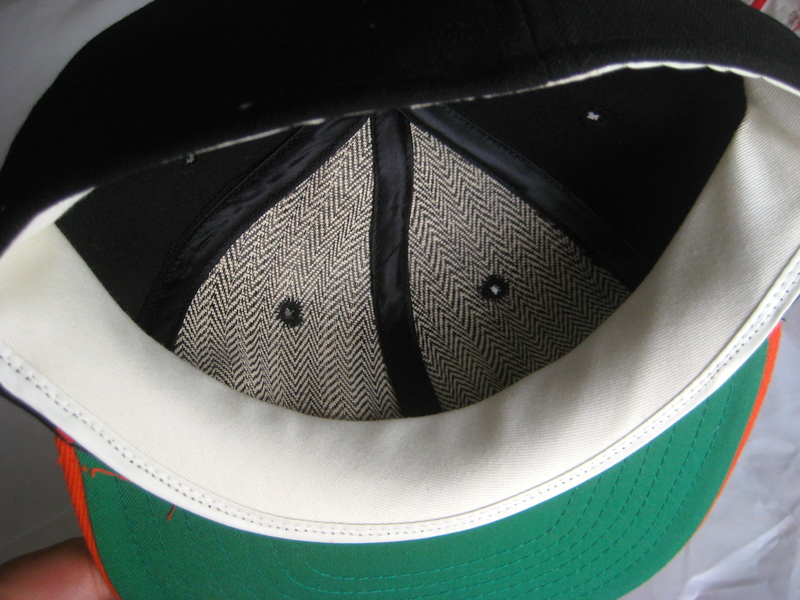 Not a bad looking cap, it even has the classic green under-brim, but come on! As stated above, they have super easy access to the correct ’66 logo. Even the premier logo website sportslogos.net features the correct logos now. 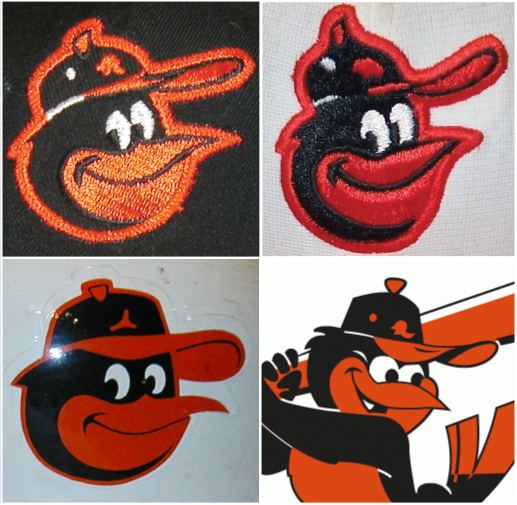 What’s the point of designing a new logo if it’s not historically accurate? How hard can it be to put out an exact match? 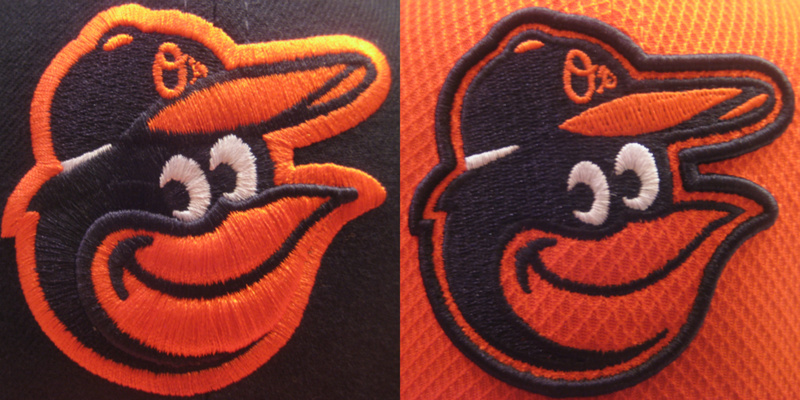 Though not perfect, I’d take this logo over the one they settled on. 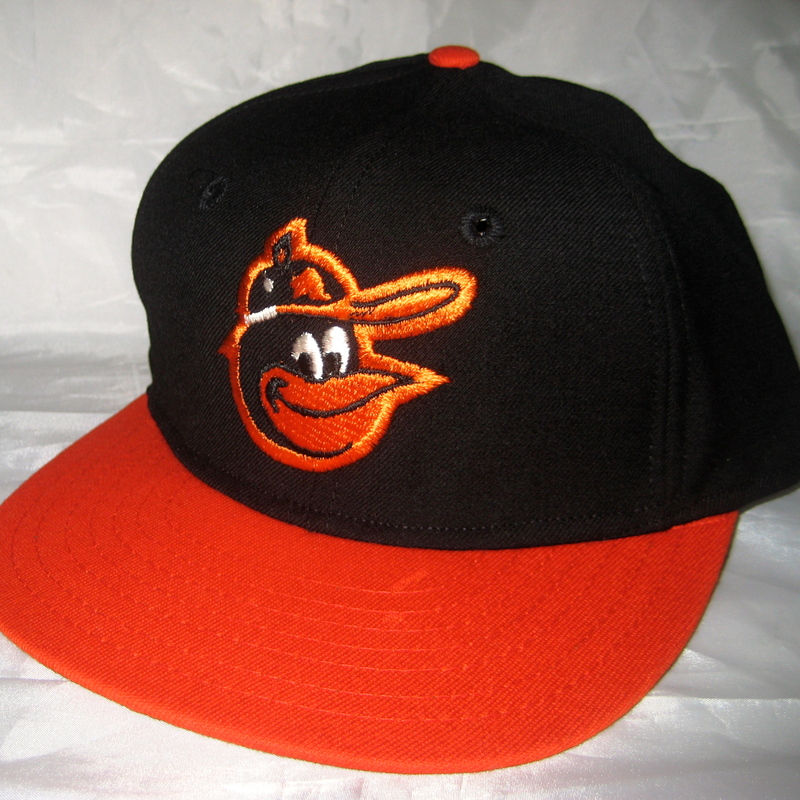 Besides the shape of the button on top of the cap, and the slightly drooped bill, this one almost gets it right. 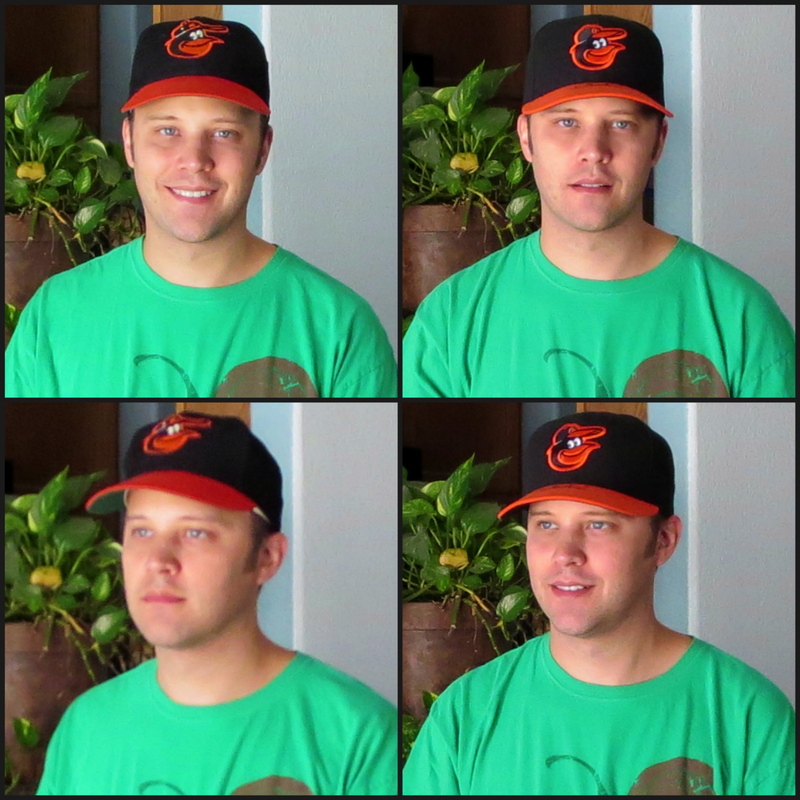 Sorry New Era, I realize no one else will care or even notice, but I’m not buying it. 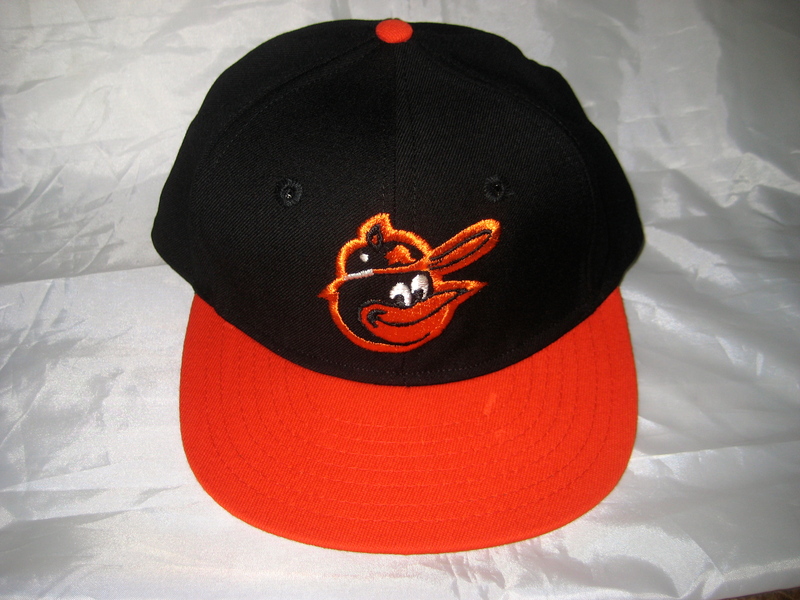 I don’t expect a full redesign of your 5950 cap, but at least slap the correct logo on there! I’m going to hold out for your 1975 TBTC cap, which I know you’ll get exactly right! 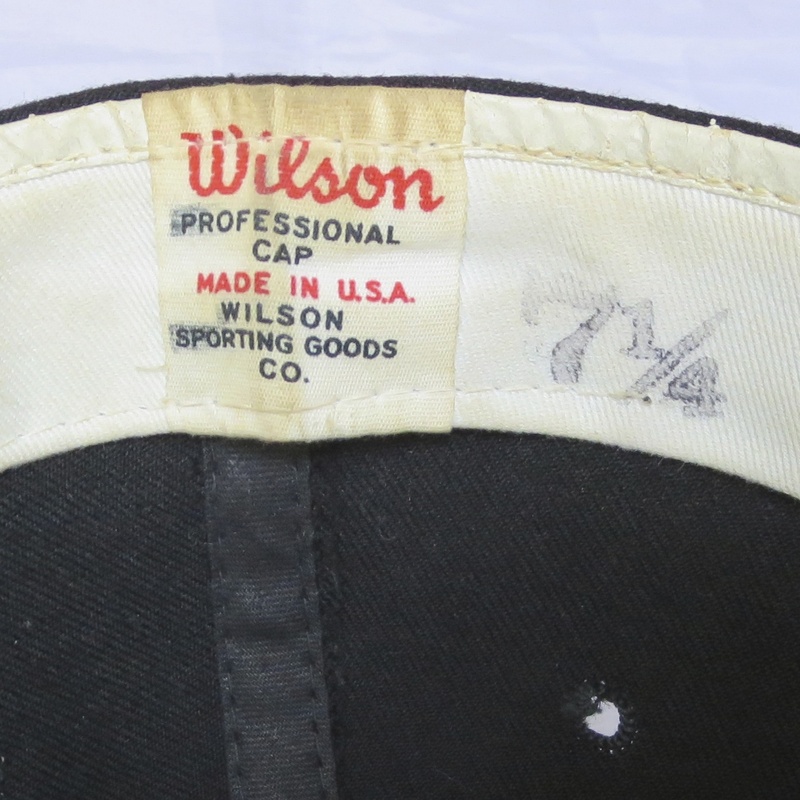 Nowadays you can find and purchase the same exact caps the pros wear just about anywhere. 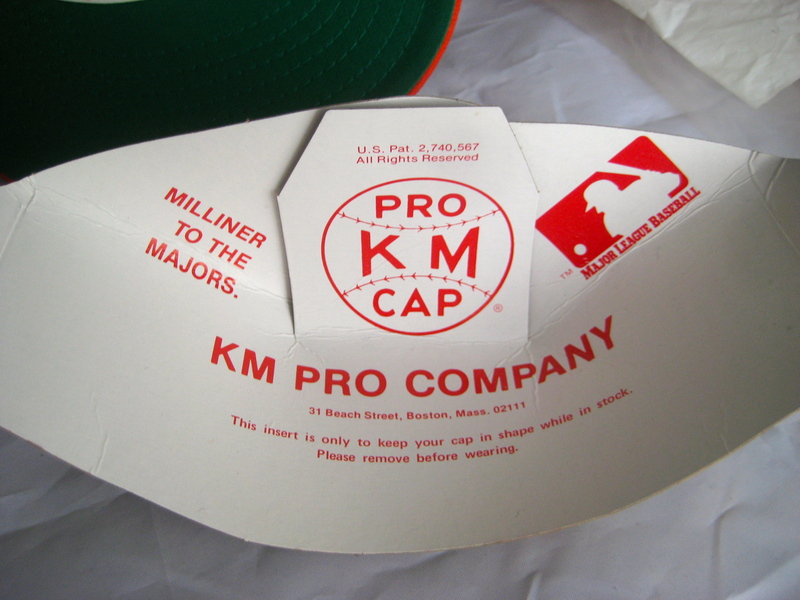 Before the late 80’s/early 90’s, however, the only sure way you could get an official, team-issued baseball cap was by ordering directly from the cap manufacturer. 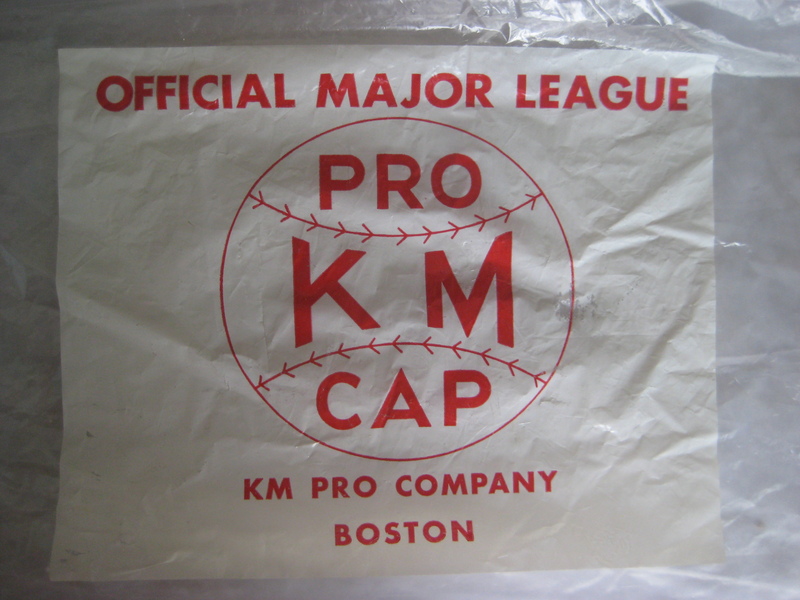 Just think about how tough it would be to even find out what company manufactured a particular team’s cap, as well as finding their address, before the invention of the internet! Imagine, if you will, a special postal service that delivers through time. 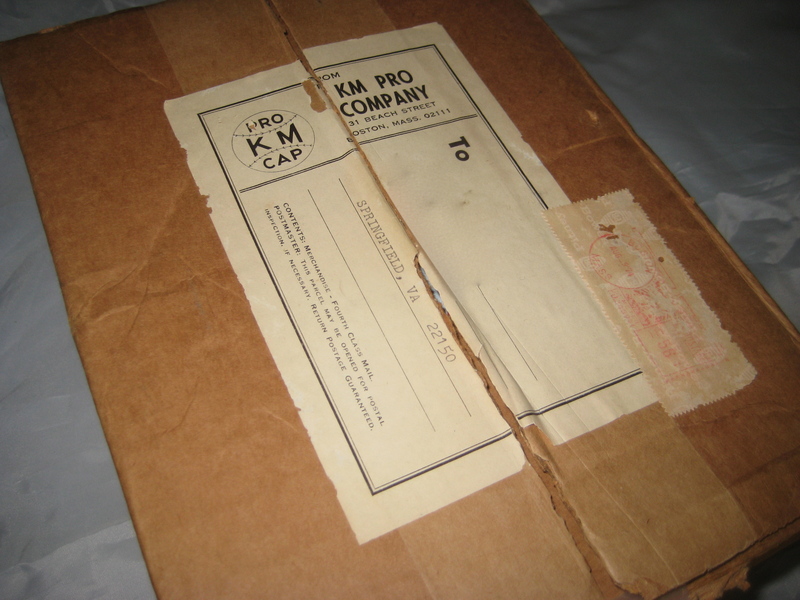 As long as you have the correct address, you can order anything from the past and it will arrive to you in brand new condition. What would you order? Comic books, baseball cards, toys, vintage clothing? 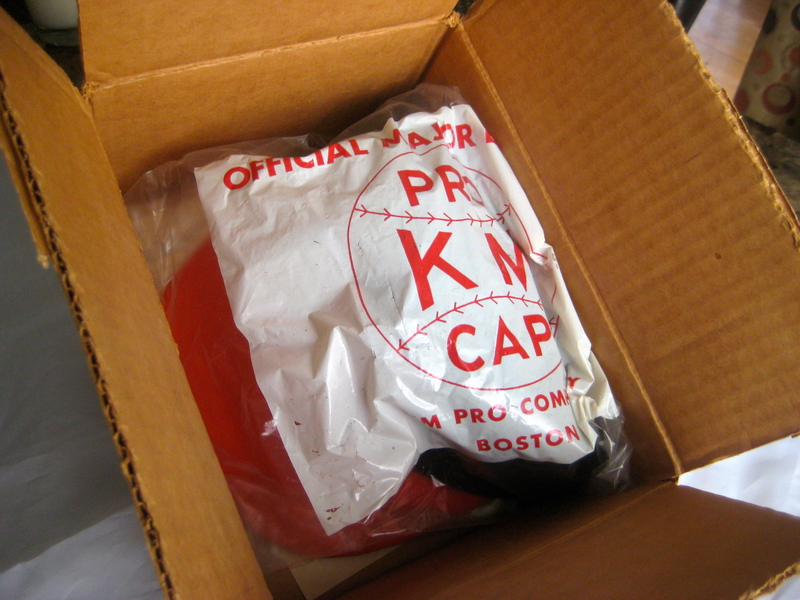 Well, let’s just say I placed an order back to June of 1974, to 31 Beach Street, Boston, Massachusetts; location of the KM Pro Cap company. The original receipt. $10 for a pro cap back then! 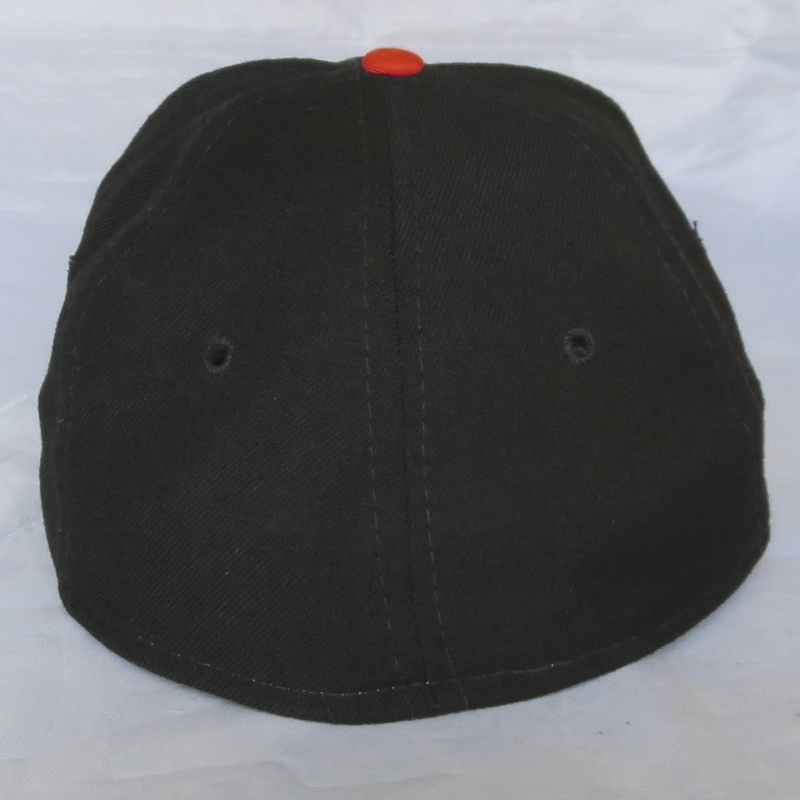 “This insert is only to keep your cap in shape while in stock. Please remove before wearing.” Hmmm?? 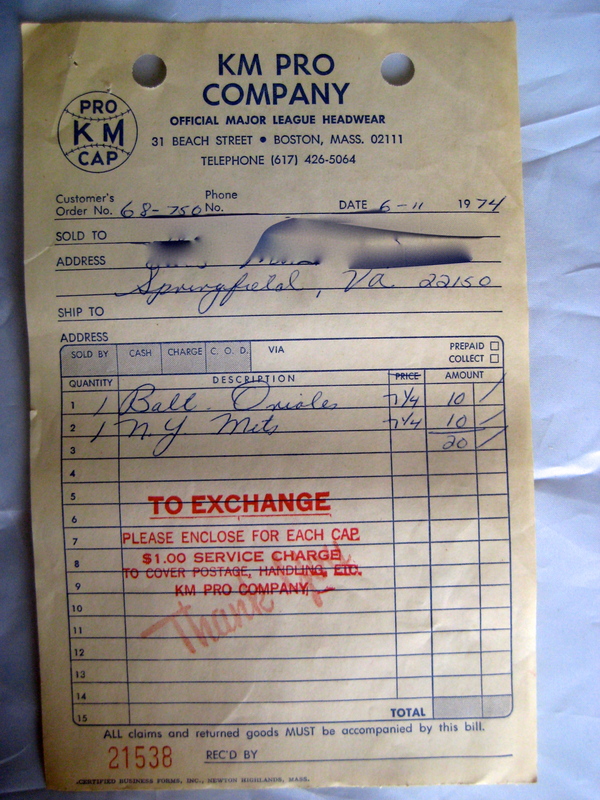 If these inserts were still used in caps today, do you think kids would keep them in, just as some kids keep the size stickers on their bills in 2013? 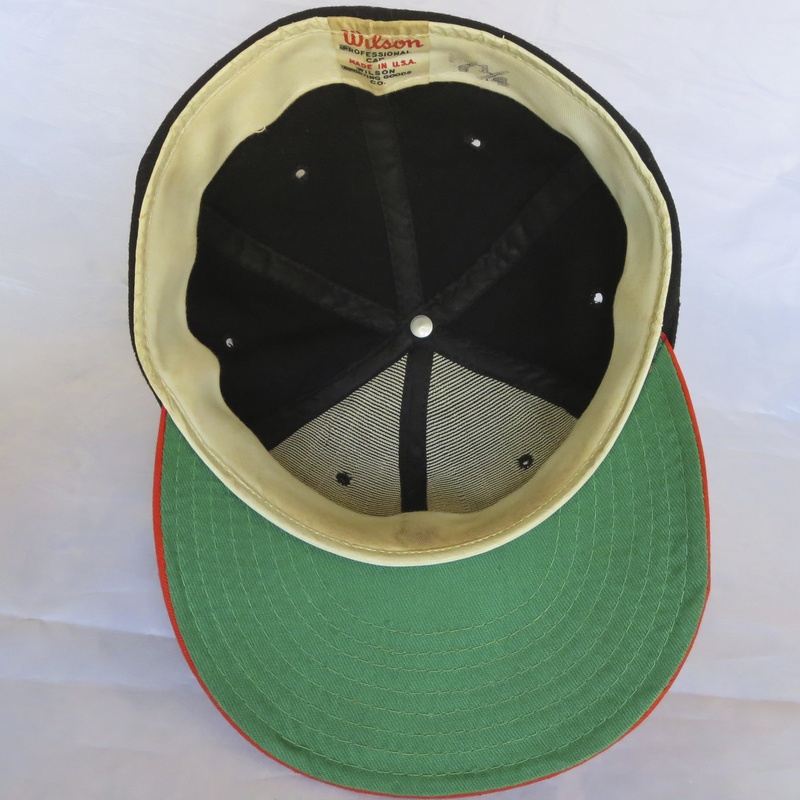 It’s pretty cool to have a pro cap nearly 40 years old in this condition! 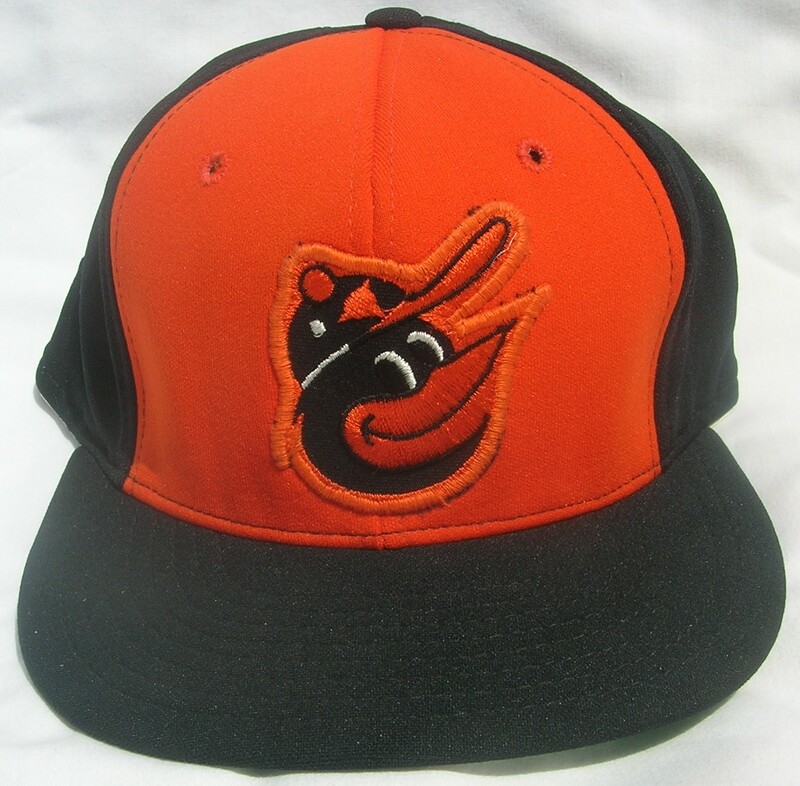 Excellent move on the Orioles part to bring back a rare cap from the 1970’s and update it with the current logo and new materials. 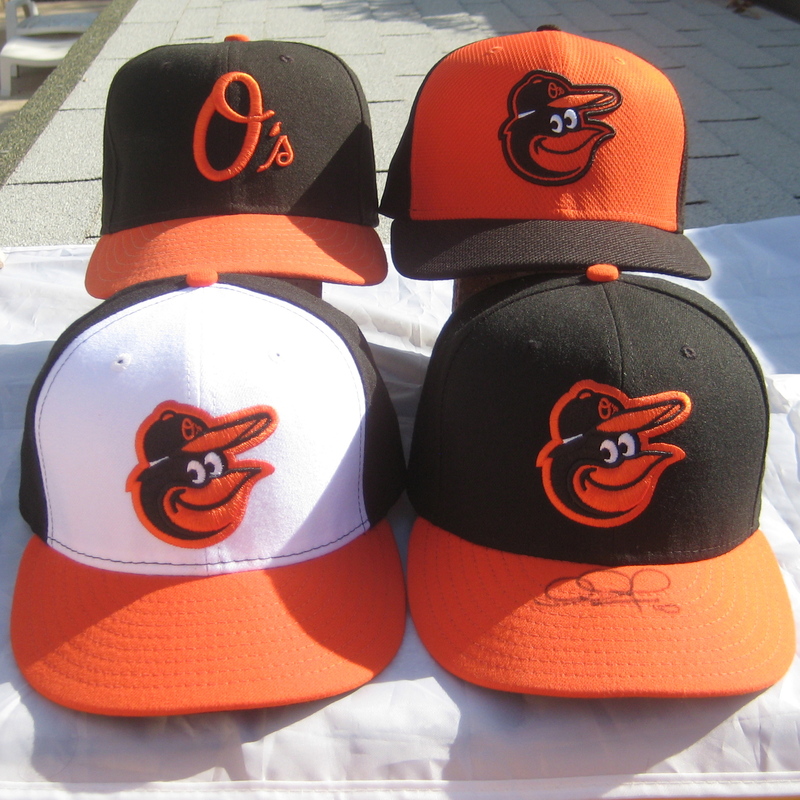 The Orioles 2013 Authentic, On-Field cap lineup is pretty much perfect!